[ 0.172278] ntfs: driver 2.1.32 [Flags: R/O]. [ 1.163972] FAT-fs (mmcblk0p2): Volume was not properly unmounted. Some data may be corrupt. Please run fsck. [ 1.174209] VFS: Mounted root (vfat filesystem) on device 179:2. [ 1.211600] Kernel panic - not syncing: No working init found. Try passing init= option to kernel. See Linux Documentation/admin-guide/init.rst for guidance. 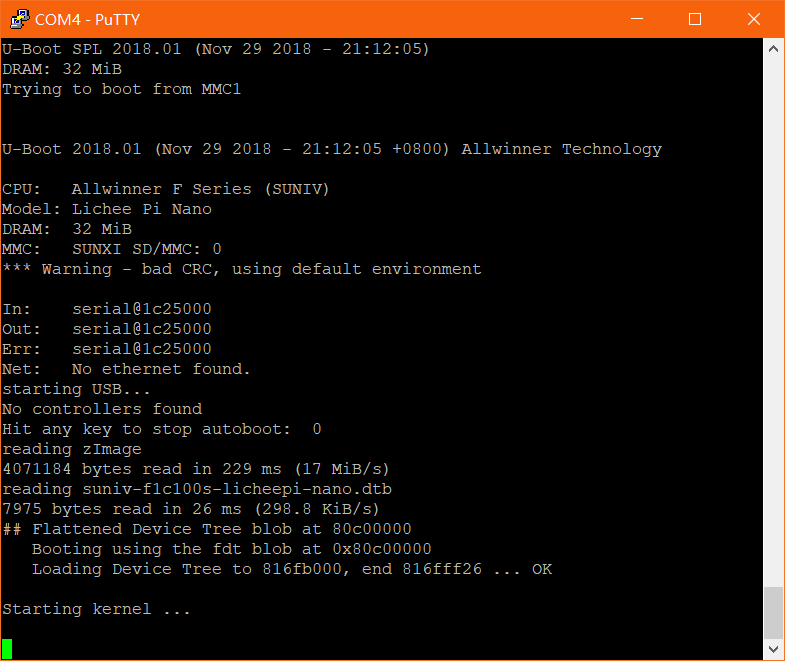 [ 1.322320] Rebooting in 5 seconds..
感谢填坑, 看来就是一个 bit 影响了 USB 的工作. [    0.957017] [drm] Supports vblank timestamp caching Rev 2 (21.10.2013). [    0.963848] [drm] No driver support for vblank timestamp query. 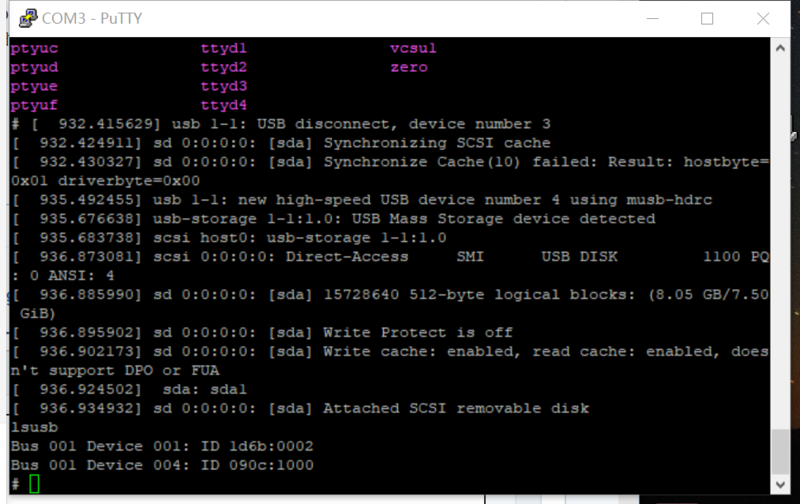 [    2.470667] VFS: Mounted root (ext4 filesystem) on device 179:2.